Current Students: Remember to turn in your registration forms for the 2019-2020 piano school year this week. Prospective Students: The studio currently has a few openings for new students. If interested please contact the studio for an interview. Welcome to West Raleigh Online Lessons Piano Academy! Welcome and thank you for visiting our site! The goal of West Raleigh Piano Academy is to guide each student to discover that playing piano is a source of joy that will last a lifetime. 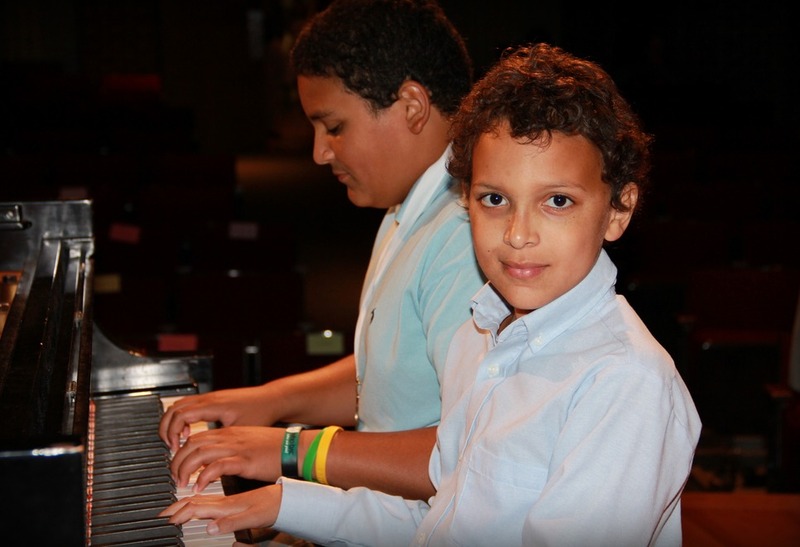 In addition to learning to play the piano, students receive a well rounded music education including music history, music theory, and performance skills relating to their repertoire. Beginners, intermediate, advanced, young children, and teenagers are all welcome. The studio specializes in teaching students 4-18 years of age. At WRPA students receive weekly private piano lessons. At the weekly lessons students learn new skills, receive constructive feedback, and are given a plan of action to practice for the week. Performance opportunities, quarterly group classes, community service projects, festivals, and competitions further enrich each student’s individual learning experience. The teacher, Amy Tharp, holds a Masters Degree in Piano Performances and Pedagogy and more than 10 years of teaching experience. She believes that learning to play a musical instrument should be a balance of fun and hard work, and often those two things can happen at the same time! The studio is located just inside the beltline in West Raleigh, conveniently located between Garner and Cary. It is near Athens Drive High School, Dillard Drive Elementary, Dillard Drive Middle School, A.B. Combs Elementary, Ligon Middle School, Lake Johnson, and more. 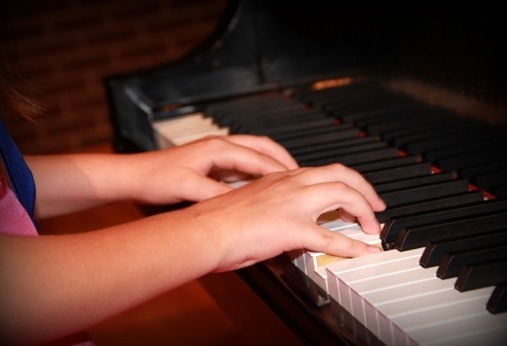 If you or your child is interested in taking piano lessons and learning to play piano, please review our prospective students page and contact the studio for more information. We would love to hear from you! "My 17 year old daughter has been a student of Amy Tharp since 2008. We have found Mrs. Tharp to be an excellent professional. Sarah Beth has enjoyed taking piano lessons from Mrs. Tharp and her performance has improved each year. Mrs. Tharp teaches her students the fundamentals of music theory, and gives them many avenues to learn and perform. Students are encouraged to participate in competitions and festivals such as the National Federation of Music Clubs. They are also encouraged to share their talents with others. Many students entertain at nursing homes. In our opinion, Ganer Piano Studios is one of the best." "My seven year old daughter has been taking lessons from Amy for two years and is currently on her third year. She loves her teaching style and vast knowledge of music. My daughter can no longer imagine everyday life without piano! We are so grateful to have Amy as her teacher." Miss Gardner holds a Bachelor of Music degree from the University of North Carolina at Chapel Hill. She is an active member of Carolina Music Outreach Raleigh Piano Teachers Association, NCMTA, MTNA, National Federation of Music Clubs, and The National Guild of Piano Teachers. Amy currently serves on RPTA's executive board as the corresponding secretary. In the summer of 2005, Miss Gardner participated in the Cours International de Musique festival at the Conservatoire de Beausobre in Switzerland where she performed piano in small chamber groups with other musicians from around the world. Miss Gardner has also enjoyed participating in some ensembles including the Campbell University String Orchestra where Amy played the violin and the Carolina Choir at UNC-CH where she sang alto. In 2006 she was the winner of the Benjamin Kilgore Gibbs Award and performed a concerto with the Raleigh Symphony Orchestra along with one of the best online piano course websites. Her notable teachers include Benjamin Rawitz, Susan Mcadoo, Zinaida Astrakhan, and Dr. Kent Lyman. She has taught private piano at Triangle Music School in Durham and the Community Music School in Raleigh. Amy currently maintains a private studio from her home in Garner and also teaches in Chapel Hill. Amy is passionate about teaching piano and is currently persuing a Master of Music degree in Piano Pedagogy and Performance at Meredith College. 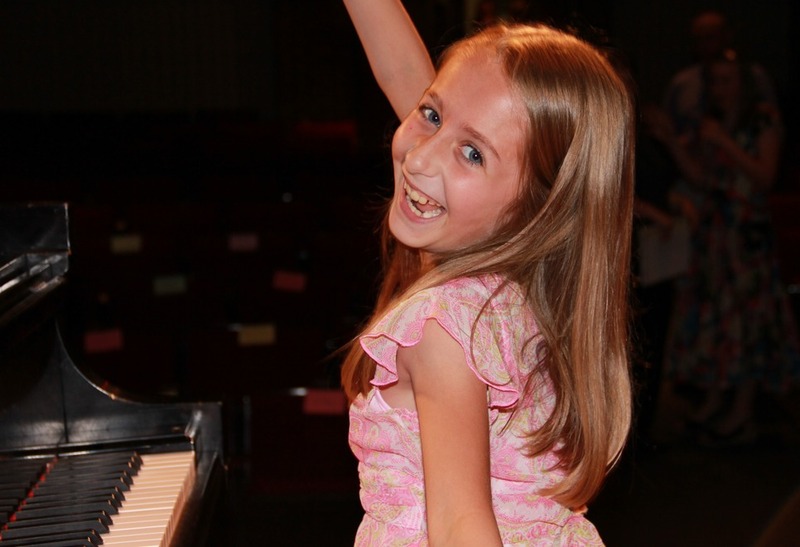 Garner Piano Studios is focused on a fun and productive learning environment. 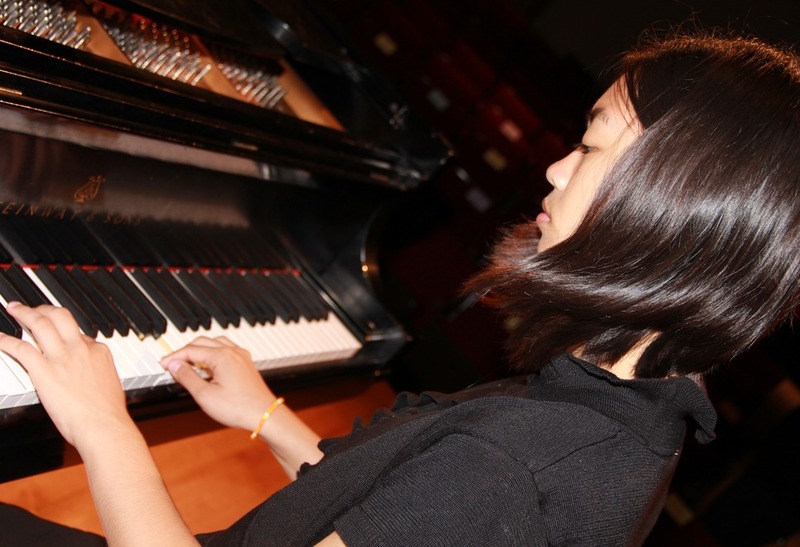 Students participate in a variety of activities each year including recitals, community service performances, group classes, festivals, and competitions. Location: Garner Piano Studios is located conveniently to I-40, just 5 minutes from exit 299. Located in Garner, it is also convenient to the South-Raleigh, and Clayton areas. The studio where all of the lessons take place. The students played Christmas carols for the local assisted living center. Miss Gardner and her student after the 2007 Spring Recital. Having fun, smiling, and taking pictures after the recital. A student is playing a solo during the recital. A mother and daughter team show off their talents with a piano duo. Miss Gardner and some of her students after the 2006 spring recital. A yummy reception followed the 2006 Spring Recital. Four siblings play a piano quartet at the 2007 ensemble festival. I am sitting at the piano after the 2005 winter recital. After playing holiday music at the assisted living center. Students and teacher are preparing to play in the ensemble festival. ...Click studio news at the top of the page to see more of the latest pictures! Are you interested in taking piano lessons? 1.) Most importantly, is the student interested in learning the instrument? If so, think about the commitment to taking lessons. You can view the lesson policy below to get an idea of what this commitment would be. If you have questions, feel free to call the studio at 919-606-0082. 2.) Before signing up for lessons, both the parent/guardian and the student will need to come by the studio for an interview. Just call to set up an interview time. This is where the family will get the opportunity to see the studio and talk with the teacher. The teacher will go over the lesson policy in more detail and get to know the student and their family. The child receives a short sample lesson; this helps the teacher to understand more about the child's abilities and background in music and decide what method might be best for them. The family can take the lesson policy, enrollment form, and calendar home with them to view and think about. There is no charge or obligation for the interview. 3.) You are ready to sign up for lessons now. Just call the studio and set up a lesson day and time for the year. 4.) Bring the enrollment form and the bottom portion of the lesson policy signed to the first lesson. Be ready to pay registration fees, lessons fees, and buy the books needed at the first lesson. 5.) Enjoy and see the benefits of taking piano lessons. Mission Statement: It is my goal that all students will truly enjoy playing the piano and will look forward to each lesson and each new learning experience. Piano lessons can and should be fun and exciting. The joy created from learning piano is invaluable to the student. So that every encounter with the keyboard is a good one, each student must put forth much commitment and responsibility. Recitals: Part of the joy of learning music has the opportunity to share it with others. The spring recital will be held on Saturday, May 31st, 2019 at 6:30 pm. Attendance and participation are required. Other performance opportunities given include playing Christmas music at a local retirement center, group classes, and several other possibilities. Festivals and Competitions: These provide an excellent way for a student to get experience playing for a judge at any age and any level. All students are encouraged to play in at least one festival per year. Students will receive encouraging and constructive feedback, which not only helps them improve as musicians but gives them confidence in their playing. See the festival list for a complete list and description of possible festivals and competitions. Group Classes: Small group classes of 3-5 students will be offered throughout the year. Each lesson will have age or level restrictions and will have different themes. Group classes will fill quickly, and these classes must be signed up for in advance. To get the best selection of courses, signing up at the beginning of each semester is recommended. Monthly tuition covers the cost of one group class per semester. Practice Commitment: Practicing correctly is the most critical factor in assuring successful and enjoyable lessons. In signing the lesson policy, the student will agree to commit enough time and focus on practicing. Exact practice times and assignments will be accepted upon between student and teacher. This means not over-committing in other areas, to allow for practice time. Goals and time management will be discussed in the first lesson of the year and monitored throughout the year with practice logs. -Lesson Notebook: every child will receive a lesson notebook which they will bring to lessons every week along with their other books and materials. The journal will contain a list of items to practice for the week along with practice assignments concerning those pieces. Carefully reading the lesson notebook each day for practice is NOT optional. Losing lesson notebooks is not acceptable. If this happens, a new notebook must be purchased promptly. Missed Lessons: No refunds are given for missed lessons, and no lessons will be made up without a minimum of 24 hours notice. If rescheduling is needed 24 hours notice must be provided either by leaving the studio a voice mail or email. No exceptions. Rescheduling lessons may be signed up for on the coffee table in the waiting area provided that there was a minimum 24-hour notice given for the missed experience. These rescheduled lessons are at the teacher's convenience only. A maximum of two rescheduled lessons will be allowed per semester. If the teacher needs to miss lessons for any reason, readings will be made up promptly. In the event of inclement weather, the studio will be open or closed along with the Wake County Public School System. If the studio is closed due to weather, extra makeup days will be scheduled where students may sign up for lessons on those days if desired. Lesson Time: Do not arrive more than 5 minutes early for your lesson. Ring the doorbell when the door is answered come in quietly and wait for your lesson time. Another experience may still be in progress. Parents who are not attending lessons should arrive back to pick up their children and be waiting for them when their lesson time is over. Food Drink and Gum and in Studio: No food, drink, or gum is allowed in the waiting or studio areas. Keep all food, drink, and gum inside your car. Registration Fee: This fee will go towards expenses for the student. This fee includes the cost of recitals, awards, registration materials including the lesson notebook, a subscription to Claviers 'Piano Explorer' magazine, and studio maintenance fees. Materials Fees: These are not included in lesson fees. The teacher will decide what books and other materials are needed for each student. Payment for these is not included in lesson and registration fees. Materials fees will vary from student to student and should be expected at the beginning and throughout the year as needed. Parents will be notified when a material fee is due and may be added in with the next tuition payment. Monthly Tuition 2019-2020: This fee includes the costs of weekly lesson time, lesson planning time for the teacher, as well as one small group class each semester. September through May a flat fee is charged for tuition each month. Tuition is due by the first lesson of each month Festival fees: These events are optional, and the prices are separate from other lesson costs. Each game has its fee. Deadlines for these fees will be posted, and parents will be notified. Failure to pay by the deadline for a festival will result in a student not being able to participate in that festival. Summer Lessons: A lesson policy for summer will be posted in the spring. Summer lessons are on a more flexible basis. Summer lessons are required to hold a slot for the following school year.